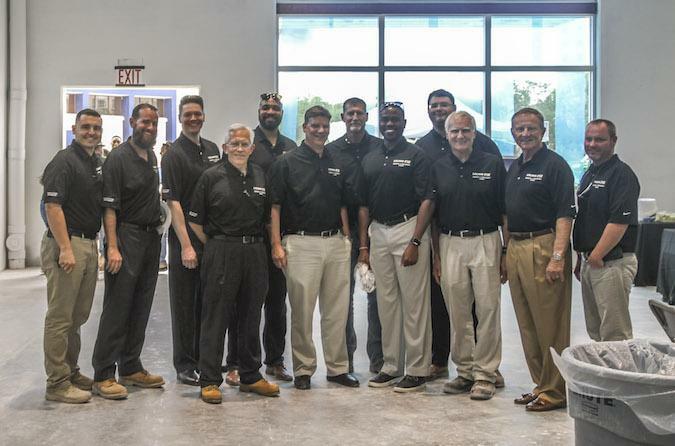 Press Release (ePRNews.com) - MIAMI - Apr 19, 2017 - Today, Moss celebrated the topping out of Florida International University’s Wellness and Recreation Center, located at 11290 SW 12 St. The $20 million state-of-the-art facility was designed by HKS. With 67,000 square feet, it will include a basketball court, sand volleyball court, fitness spinning room, fitness matted room, fitness assessment room, general storage room, collaborative workspace and entrance plaza. The project is expected to be completed in August 2017. Moss (www.mosscm.com) is a national privately held construction firm providing innovative solutions resulting in award-winning projects. With nine regional offices from Hawai’i to the Caribbean, Moss focuses on construction management at-risk, design-build, and public-private partnerships. The company’s diverse portfolio encompasses a wide range of sectors, including luxury high-rise residential, landmark mixed-use developments, hospitality, primary and higher education, justice and solar energy. Moss prides itself on a strong entrepreneurial culture that honors safety, quality, client engagement and employee development. Its employees consistently rank Moss as one of the best places to work. Industrial Inspection & Analysis Acquires Domson Engineering & Inspection Ltd.